Home > POLITICS > Bolaji Abdullahi Resigns From APC ! Bolaji Abdullahi Resigns From APC ! After Senate President Bukola Saraki dumped the ruling party for the Peoples Democratic Party (PDP) on Tuesday, it was widely expected that Abdullahi, being his loyalist, would follow suit. There were widespread reports on Tuesday that Abdullahi had done just that, but he vehemently denied it. However, on Wednesday, he confirmed his exit from the ruling party. 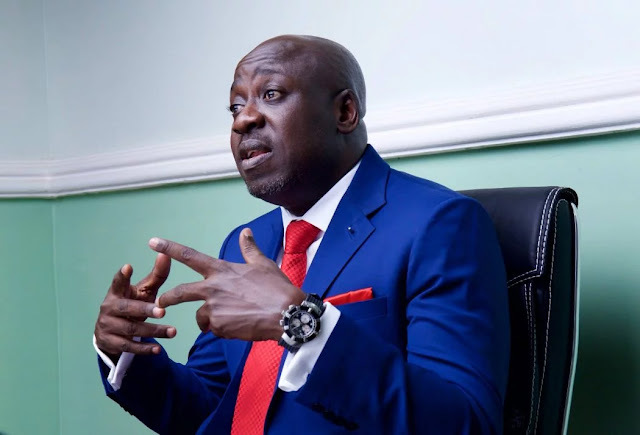 Bolaji Abdullahi has officially resigned his position as National Publicity Secretary of the All Progressives Congress (APC) as well as his membership of the party. After Senate President Bukola Saraki dumped the ruling party for the Peoples Democratic Party (PDP) on Tuesday, it was widely expected that Abdullahi, being his loyalist, would follow suit. There were widespread reports on Tuesday that Abdullahi had done just that, but he vehemently denied it. However, on Wednesday, he confirmed his exit from the ruling party, saying his “personal stake in the issue of Kwara makes it incongruous” for him to continue to sit as part of the working committee of the party. Abdullahi complained that he has recently had to endure the “flagrant usurpation” of his role as the spokesman of the party in a manner that he considers “unbefitting of a ruling party and inconsistent with my ethical standards”. He added that in a situation whereby his loyalty is constantly brought into question, his subordinates deployed to subvert his office, and his views constantly second-guessed on the basis of his political affiliation, it became imperative for him to review his position. “Clearly, I cannot continue to function as the spokesman of a party whose expectations of that role is incompatible with my personal principles,” he said. I have served the APC honestly and to the best of my ability and when I stood for and won my election at the last convention; it was a keen desire to continue to do so. However, in a situation whereby my loyalty is constantly brought into question; my subordinates deployed to subvert my office; and my views constantly second-guessed on the basis of my political affiliation, it has become imperative for me to review my position.